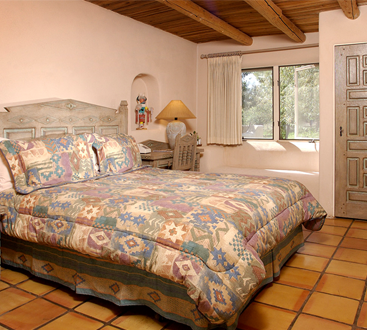 Savor the warmth and serenity of the hacienda, the heart of our bed and breakfast built in the 1850’s by Narciso and Rumaldita Rivera. 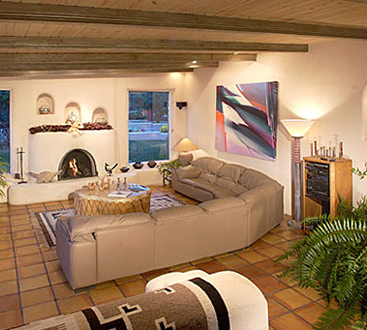 Your B&B hostess, Yolanda Deveaux, is a native of Taos, and her mother’s family the Trujillos and DesGeorgeses have lived in this valley for many generations. 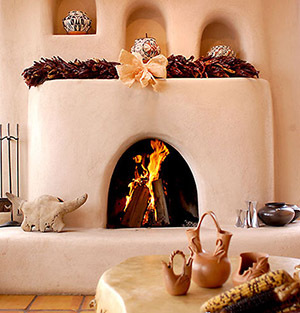 Yolanda’s father, Dr. Deveaux, came to Taos from Mexico in the mid-1940’s to practice medicine. Yolanda has owned the house for 40 years and it has been a bed and breakfast inn for 27 years. It’s also the home where she raised her children. Yolanda’s vast knowledge of the area and its history allow her to help you transform your stay into an unforgettable experience. 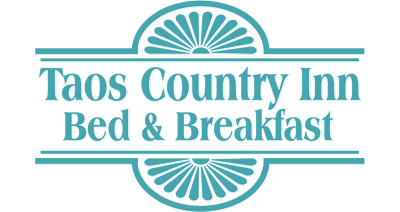 Whether you’re looking for a romantic bed and breakfast with a loved one or you’re just looking for a place to get away from it all, the Taos Country Inn is ready to make your stay in the area as pleasant as possible. We look forward to hearing from you!